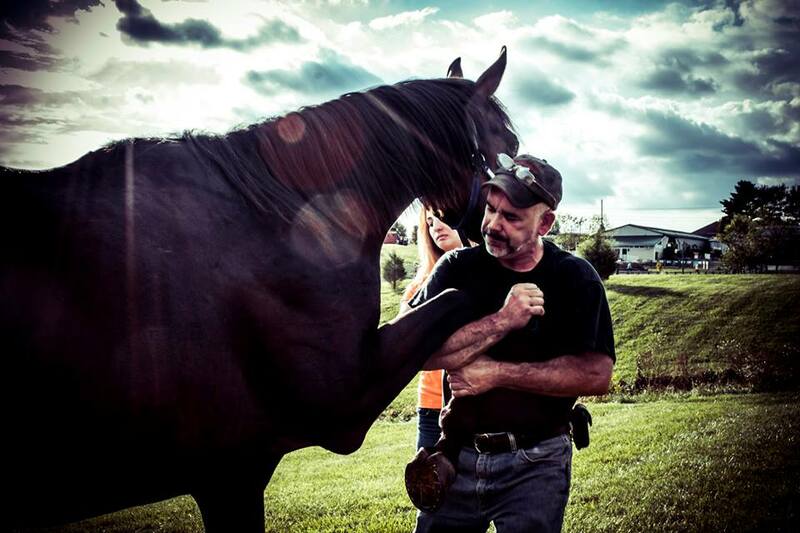 As many of you know Randy Tuck ( full time, self-employed, farrier and Equine flexion and massage therapist), was recently involved in a bad horse accident that led to him sustaining compound fractures of his Tibia and Fibula in his right leg. This injury required surgery to reset the bones and pin them back into place. We thank God the surgery went well and he is now home to heal. But the Dr. says it will be 6-8 weeks before Randy can walk and several months after that before he can even consider going back to work. Because Randy is self-employed and relies on his body to perform his job; this injury has completely stopped him from being able to bring in the finances needed to pay for the medical bills of the hospitalization, surgery, future Dr. visits and overall finances needed to support himself and his family. And since Randy is not the type of person that will ask for help we are here asking for him! 1) Your prayers for a quick, pain free, TOTAL healing that is so quick that even the Dr.'s have to admit it is a miracle :) Along with prayers of strength and God filled guidance for his family while they care for Randy. 2) Financial support! With Randy out of work and unable to create income to pay medical expenses and over all daily living; he needs our help until he gets back on his feet and back to work. 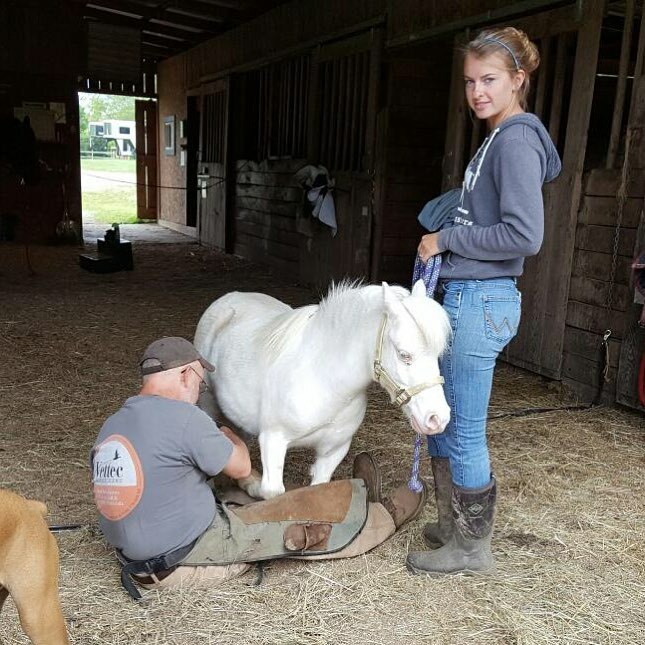 3) Food, transport to and from Dr. appointments, and even help caring for animals or getting ready for the winter months that are quickly approaching (like cutting and splitting wood for the fire place). 1) Keep Randy and his family in your prayers EVERY DAY! 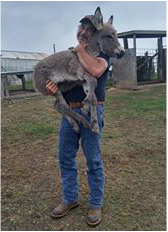 2) We have made a paypal donation link and a gofundme page to help raise money for Randy and keep him and his family afloat until he is back on his feet. 3) Don’t have a few extra dollars to donate? That’s ok, Donations of food or your time to help is also greatly appreciated! If you want to bring food or help with other needs please use the below links contact and to see what needs to be done or set up a date on the calendar for day to bring food. We do ask that you PLEASE DO NOT just stop by without making an appointment. Randy is currently unable to walk and we do not want him getting up and down trying to answer the door several times a day. You do not need a paypal account to use this option! And even better paypal charges less per a transaction than gofundme! Interested in bringing food or stopping by to visit? Please click on the following link to schedule the day!. IMPORTANT NOTE: Randy is allergic to onions so when making food please keep that in mind! ​Please be considerate of Randy and his family and MAKE SURE you schedule your visit! HAVING TROUBLE? Please feel free to email reahorse@live.com if you have questions or are having issues with any of the above links! Again THANK YOU so very much for your support and prayers! May God Bless you! Want to get updates on Randy and how he is doing? Have questions or concerns? Want to find out what other things are needed to help? 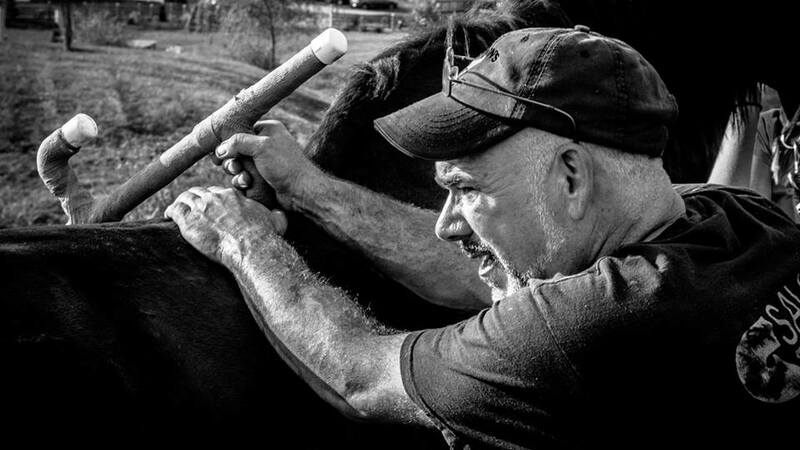 Or if Randy is your farrier and you have questions, please fill out the following form and we will get back with you asap! ​Time for an update! We are now following up with the wound care clinic and orthopedic doctor every other week, on opposite weeks. The wound, still being the main concern, is healing, just slowly. However, no infection brewing so Hallelujah! This last doctor appointment with the orthopedic doctor went extremely well, with the doctor seeming in shock at how well everything is looking. He said he has patients that are 5 months out from an injury like this and still having extremely tender area whereas dad doesn’t seem to have those spots. He still has pain of course (who wouldn’t when a bone broke out of the skin?!) but as you know, he’s a tough cowboy  The timeline remains the same as far as weight bearing and returning back to shoeing horses but we were already prepared for this. We would much rather be safe than to jump the gun and have a setback even longer. We are still so blessed by visitors, meals and fundraising to assist with the medical bills and regular bills with dad being out of work. We had a great Thanksgiving and are so glad to be able enjoy time with dad! We are so thankful for everyone and all thier amazing outpouring of support, love, and giving! This has made for a Thanksgiving of being able to see and feel the amazing blessing of God and all of our supporters! We pray everyone else had an Happy and blessed Thanksgiving also!